HopeWorks was featured in an article in the October issue of The Bridge. Interviews with staff painted a great portrait of what HopeWorks does and how students are changed. The front-page article followed the journey that Pat Tia Holmes and her husband, Frank, went on as they moved from homelessness to having a stable home and jobs. Pat is a graduate of HopeWorks. The Bridge is a professionally-printed newspaper that features stories, articles and artwork by people with experiences of homelessness. The Bridge staff interviews, trains, and certifies people with experiences of homelessness to be vendors of this newspaper. 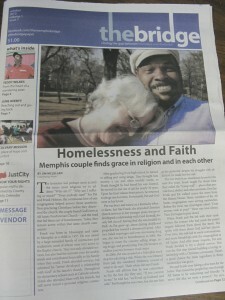 After certification, each vendor receives a badge and 20 free copies of the month’s edition of The Bridge. 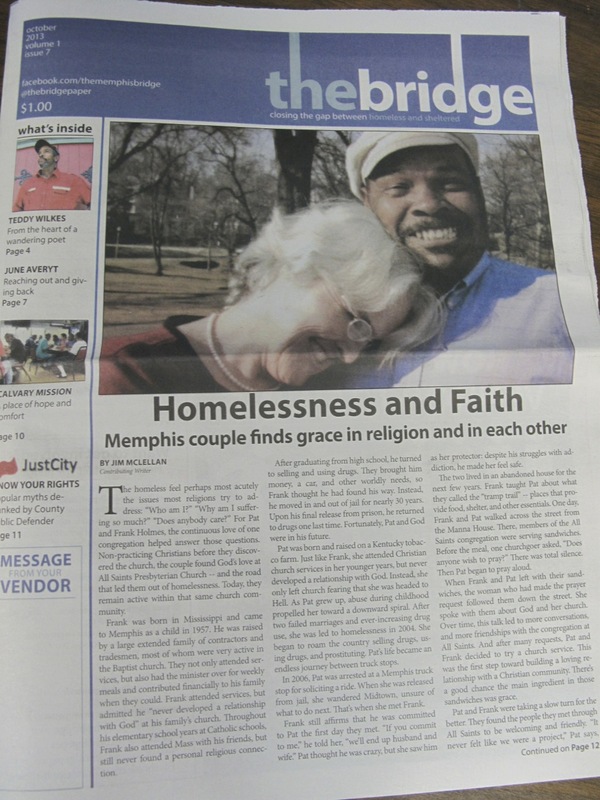 Vendors can purchase further copies from our organization for $0.25 each and then sell The Bridge in the Memphis community for $1.00 per paper. Find a vendor, buy a paper, and support The Bridge and HopeWorks.